Motorola Canada has confirmed that a new Moto-branded smartphone will be unveiled on Thursday and it’s widely expected to be the Moto Z2 Play. In a tweet, Motorola Canada’s Twitter handle wrote, “Guess what?! We’re announcing the next bold phone from Motorola on June 1st.” While the company may not have named the handset expected to launch on Thursday but a new leak may have dropped a big hint. Roland Quandt of WinFuture has posted a bunch of renders of the much-anticipated Moto Z2 Play. Apart from the images, the tipster has also claimed some specifications details. The official Thursday launch of a new Moto phone also corroborates to an earlier leak that showed retail box of the alleged Z2 Play, and promised June 1 launch in Brazil. As spotted in earlier renders, the Moto Z2 Play will look almost identical to its predecessor, the Moto Z Play. Much like the original smartphone, the Z2 Play will also support old Moto Mods which were recently leaked in render. The phone is already rumoured to support previous Moto Mods announced last year including Insta Share Projector, Moto battery, Hasselblad Camera, and JBL speaker. For specifications, the Moto Z2 Play is said to come with a 5.5-inch full-HD display and be powered by Qualcomm Snapdragon 626 processor coupled with 4GB RAM. The phone is said to pack 64GB storage and come with expandable storage support via microSD card. The Z2 Play is further rumoured to sport a 12-megapixel rear camera alongside a 5-megapixel front camera. The rear camera of the handset is widely expected to support 4K video recording. The leaked press renders claim that the handset will pack dual-LED flash. 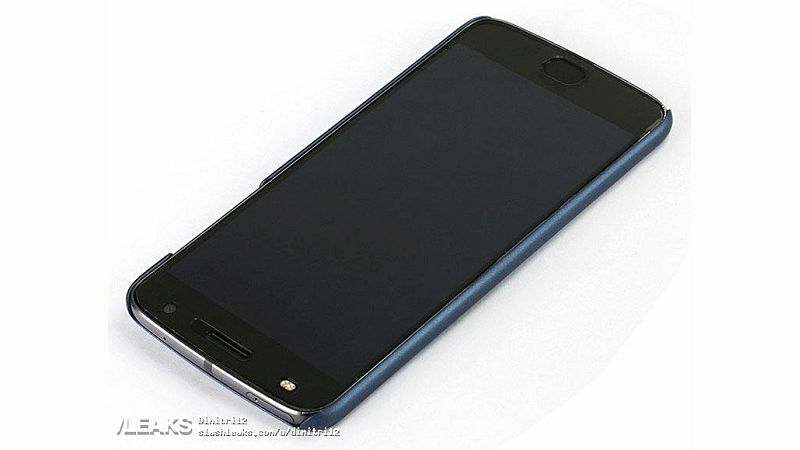 In the new leaked renders, the alleged Z2 Play can be again seen featuring the 16-dot connector for Moto Mods at the back. Most of the rumoured specifications are in-line with what have been leaked in the past. Moreover, SlashLeaks has also posted some images of the Moto Z2 Play alongside the Moto E4 Plus, which has also been heavily leaked in the past. The Moto Z2 Play, which is rumoured to launch on Thursday, can be seen featuring USB Type-C for charging and includes the 3.5mm audio jack. The Moto E4 Plus, on the other hand, in the leaked render can be seen featuring metallic design and corroborates to earlier leaks. Additionally, we have been treated with new press renders of the Moto Z2. In the leaked renders via SlashLeaks, the alleged Moto Z2 can be seen with a protective cover to hide the design though the front panel is visible. Some of the details confirmed by the leaked image include home button below the display and front-facing LED flash. The phone can be also seen featuring USB Type-C for charging and is expected to miss out on the 3.5mm audio jack.